Nobody is diminishing the stress and emotional trauma inflicted on many teachers throughout their working day. The bullying, name calling, pushing and disrespect can make a teacher despondent and at times on the edge. The challenge is to find a way to stay on that edge, without losing it altogether. Because, as the footage below clearly shows, it is not a good look when teachers take the bait and lose all sense of reality and professionalism. As hard as it is we must find a way to keep our composure and avoid a scene. Where Are All the Teachers Who Promote Teaching as a Career? I love being a teacher and I absolutely recommend it to anyone considering it as a career choice. It really bothers me that we hear many teachers advise against teaching. Even though these teachers have every right to be heard, and often make good points, their views tend not to be counterbalanced by those who adore what they do. What are the lawmakers doing to protect teachers from their students and deter violent children from attacking their teachers? Increasing numbers of children in the first years of primary school are being suspended for attacking their teachers, shocking statistics show. More than 4,000 children aged four to seven were sent home for violence against those teaching them last year, according to most recent figures. Suspensions for attacks on teachers of Reception, Year One and Year Two classes rose by nearly 50 per cent in the last five years – with 20 pupils now being sent home every day over the issue. In the 2008/2009 school year, just over 2,880 four to seven-year-olds were sent home for attacking their teacher – but that had jumped to 4,210 youngsters by 2012/13. The figures, published by The Sun, lay bare the increasingly violent classrooms of England and Wales’ youngest schoolchildren. There is an utterly distasteful YouTube trend emerging featuring young children filming confessions on how they bullied, harassed and campaigned against their teacher. In some videos they even confess to deliberately lying in order to get them fired. Not everyone can be a teacher’s pet, but some students who think their instructor doesn’t like them are saying they’ve fabricated stories to get them fired. KRIV-TV out of Houston recently conducted an investigation and found a disturbing number of YouTube videos with students describing what they’ve done to get teachers sacked. “So, we’re going to tell you guys about how we got our first-grade teacher fired,” a young boy in a video posted to YouTube a year ago said. 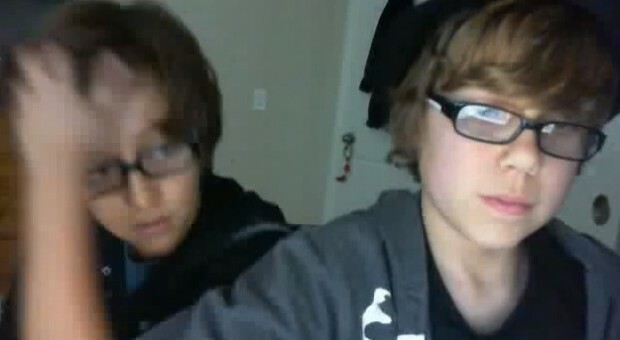 “Wanna share the story?” he continued to his friend. The boys went on to describe a discipline system the teacher had in place. It was a common tactic that included a warning system, a small writing punishment for minor offenses all the way up to getting sent to the principal’s office. “Anyway, how we got her fired … we just kept going to the principal’s office and telling her [the teacher] was harassing us,” one of the boys said, adding that they eventually told their parents as well at which point formal reports were filed. They also described having hidden cameras on their clothes to capture the alleged harassment. “We got her pretty good but they said we didn’t show that much,” the boy said. So, they went on to get people to sign a petition — about 20 students — to have the teacher ousted. “We gave her a lot for her to handle,” the boys said wondering if they really got her fired or if she quit. One major way to deal with judgements is to remember that it is not necessarily a definition of who you are as a person; such opinions do not define you as a person, but are there as a snapshot of the work you do, and if managed carefully, a way for you to improve the way you teach. Remember how such judgements make you feel, and consider this when making judgements yourself (to pupils and/or colleagues) – don’t be the hater. Don’t be the person who tears down someone else’s hard work. The world needs more people who contribute their gifts and share their work and ideas. Working up the courage to do that can be tough. Support the people who display that courage. If you’re dealing with criticism, then don’t let the wall keep you from seeing the road. Focus on the path ahead. For example, when planning a trip, you may explore the online reviews from other travellers. Rationally, you will ignore the top and bottom 10% of the reviews and focus on those in the middle – they are the ones you pay attention to – consider this with the feedback you receive. Finally, and most importantly, make the choices that are right for you. People will criticise you either way – It’s human nature. Be aware of Passive Aggressive behaviours. They can be destructive. What percentage of British teachers considered quitting their job this year? Correct! 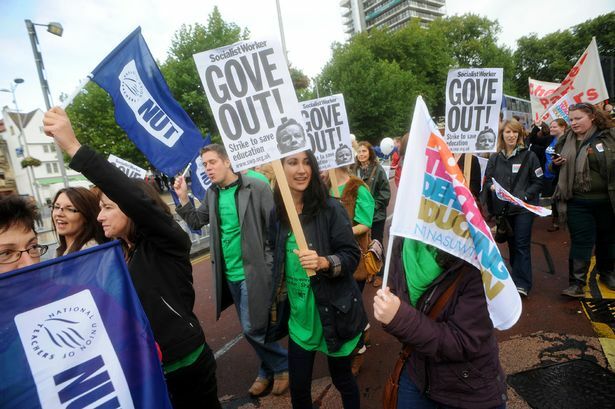 According to the Teaching union NASUWT, almost half the teachers in England were considering giving their jobs away. Whilst I don’t take union figures as gospel, the survey results point to two very severe problems. Teachers are not happy. Increased Government funding and standardized testing are not going to sufficiently impact student performance when the most important piece in the puzzle, the teacher, are not committed to seeing the year out. A teacher that isn’t happy is more than an impediment to learning – it is a fatal blow. The latest trend in education policy is to put more pressure on teachers. Paperwork has become ridiculously onerous, constant changes to curriculum have left teachers in a tailspin, the deterioration of classroom behaviour has left many teachers suffering undue stress and assessments by government, school administration, peers, parents and even students have made teaching one of the most critiqued professions around. My experience with teachers is that they join the profession largely from a desire to make a difference. The fact that so many enter the job with idealism and passion that becomes eroded so quickly is cause for great alarm. What policies can we put in place to support teachers rather than judge them, to assist them rather than to overwhelm and suffocate them? If public policy doesn’t show concern for teachers, it stands to reason that many teachers wont get the job done. Children as young as four have violently attacked their teachers, new figures suggest. In one instance, a nursery school teacher was reportedly smacked, kicked and headbutted by a child in Walsall, West Midlands. Elsewhere, it is claimed a pupil punched and headbutted a staff member after grabbing them by the neck in Houndslow, West London. One teacher in Derby was stabbed in the arm with a pencil, according to reports. Teachers across the country were scratched kicked and even bitten by children they were attempting to control, The Sun on Sunday has reported. Figures published by the newspaper suggested that children as young as four have violently assaulted teachers 21,000 times in the past two years. On average, there are 55 assaults in school per day. In the 2011/12 academic year there were 10,000 attacks in classrooms while in 2012/13 there were 10,750. The figures were obtained from 70 local authorities in England and Wales by the newspaper via a Freedom of Information Act. Yes, it’s true, the holidays are good and the hours can be flexible, but teaching is not an easy profession. I adore teaching, but even on a good day I come home absolutely exhausted. And it’s not as if my day stops when I get home. Marking, planning and reporting duties often have me working deep into the night. The same parents that think teaching is not very hard, openly complain about how tiring their child’s birthday party was to manage. They freely talk about the noise levels, the repeated requests for them to be quiet and the tears when games are lost and feelings are hurt. Now picture this: You are hosting a birthday party every single day for a year. Now you know what it can be like to teach a class! 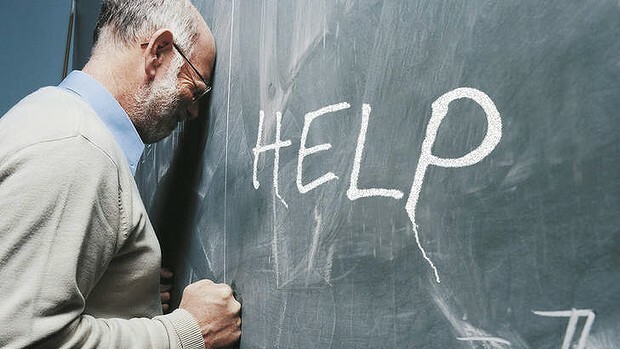 More than one in four new teachers are suffering from ”emotional exhaustion” and almost burnt out soon after starting their careers, according to a Monash University study. The reasons offered include a lack of administrative support, onerous compliance measures and much tougher emotional conditions than they expected to face, particularly in economically depressed areas. He and Associate Professor Helen Watt made their findings from surveys of 612 primary and secondary teachers. They were first surveyed in 2002 as they enrolled in teacher education at universities in Victoria and NSW. ”I would never have thought 27 per cent would be on a path to burnout or worn out already,” Dr Richardson said. Dr Watt described those affected as ”a very dangerous group”. “They report much greater negativity in their interaction with students,” she said, ”such as using sarcasm, aggression, responding negatively to mistakes. They were there [originally] for reasons such as wanting to enhance social equity, making a contribution to society, or having a personal interest in teaching and working with youth,” she said. Yet the latest results of the FIT-Choice (Factors Influencing Teaching) project indicate low morale is all too common among this sample. And the most positively motivated teaching students – those who initially planned to stay in teaching the longest – suffered the greatest drop in confidence and satisfaction once they started working. In Victoria, new teachers have orientation days, mentoring arrangements and even “buddy” programs to help them feel at home in their first weeks on the job. “But it would appear most of these measures are ad hoc,” said Andrea Gallant, a senior lecturer and education researcher at Deakin University. Dr Gallant is tracking the attrition rate among beginning teachers – a statistic made difficult to pin down because teachers often remain registered after leaving the profession. 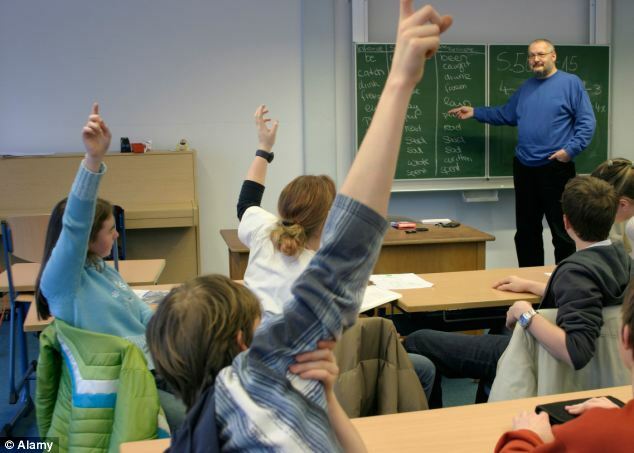 The Education Department puts the attrition rate for teachers under 30 at 3 per cent. “We would estimate the rate of attrition to be probably 50 per cent,” Dr Gallant said. She recently completed a small case study interviewing high-performing teaching graduates who left the profession within a few years, to find out why. Meredith Peace, Victorian branch president of the Australian Education Union, said schools were not given enough support to implement structured peer-to-peer programs. “Good mentoring requires time,” she said. Click on the link to read Who is Going to Stand Up For Bullied Teachers? 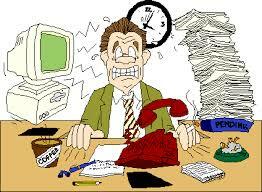 Despite much discussion concerning the nature of workplace stress, our jobs are getting more and not less stressful. While stress certainly isn’t unique to the teaching profession, working in schools does throw up a number of situations that are unique to education while the current climate of uncertainty and criticism further undermines the professionalism and confidence of many hard working teachers. Ofsted inspections, changes to pay and conditions and new appraisal systems all add to the feeling that we are far from in control. Identifying those things that we can control and those that we cannot could help to prevent daily hassles from becoming major problems; but we can’t do it on our own. Stress is a natural biological response and back in the day when wild animals roamed freely and early humans spent much of their time hunting and gathering the body’s response to stress was vital for our survival. 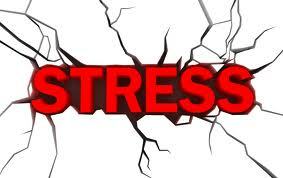 Stress allows our biological system to prepare itself to do something – either attack (fight) or run away (flight). Acute stress represents that immediate panic which drives the fight or flight response but if this stress continues we begin to suffer from a more chronic condition, this can not only impact on us psychologically but can also lower our immune system, making us more vulnerable to physical illness. Psychologically, the stress we feel is often based on our individual perception of a situation and this is why some people appear to suffer more than others. American psychologist Julian Rotter describes this as our ‘locus of control’ or the extent to which an individual feels that they have control over a situation. Locus of control can be internal, in that we believe we have control over our lives, or external, where we believe that the environment controls events. Realistically most of us fall between these two dimensions but we may favour a particular one. Unfortunately, our locus of control is very difficult to change because it probably developed through a combination of genetics and early socialisation. Teacher meltdowns are often ugly and they are toxic in a school environment. When they occur, inevitably, disciplinary action must be taken to ensure that the offense doesn’t happen again. Whilst a teacher doesn’t have an excuse when they act unprofessionally, it is vital that more support and greater welfare provisions are available for what is a highly stressful and sometimes quite unforgiving occupation. 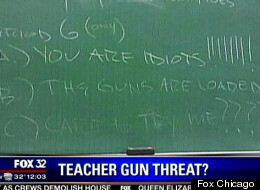 A northwest Indiana teacher is the subject of a police probe over a threatening message he scrawled on the chalkboard of his classroom. A.) You are idiots!!!!!!!!B.) The guns are loaded!!! C.) Care to try me??????? Students took a photo of the message and the image was circulated on social media, prompting school administrators to take action. The teacher was told to leave the school last Friday morning while an investigation into the apparent threat is completed. Both police and the Lake County prosecutor’s office are working on the matter, according to Fox Chicago, and charges may yet be filed against the teacher. The teacher, a 28-year veteran of the school, has never been disciplined before, according to ABC.